A family business! Mom, Dad, Daughter; it is quite the dynamic! Collectively we have over half a century of experience. As our corporate initials ISI indicate, we stand for Integrity, Service, and Ingenuity. We thrive by creating long term relationships built on knowledge and trust. Our purpose is to protect and preserve the financial well-being of individuals, families, business owners and their employees while making the conversation of insurance a little bit more exciting and natural. We are a wholesale brokerage agency with two sides of our business; assisting clients directly, and supporting other brokers and agents with their clients’ requirements. We have alliances with numerous top rated insurance companies around the country. In addition, we select our companies and make product recommendations based on a time-tested calculus of carrier strength, client needs/goals, and individual medical history (we are able to offer many options for those with pre-existing medical challenges). We are the “back office” for quoting, analysis, claims issues, etc. What makes us special is our focus on serving people rather than the insurance companies. We are able to offer solutions regardless of your address nationally or internationally. 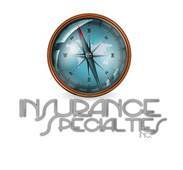 Insurance Specialties, Inc., a licensed Pennsylvania corporation since 1978, is appointed in over 17 states with clients and affiliated brokers in the Philadelphia metropolitan area and throughout the country. Our President and Vice President reside in the greater Asheville area. Since moving there they created Pine Street Insurance Services in order to fill a missing niche in the North Carolina market. We also offer disability and life products to professional athletes, celebrities, and specialty entrepreneurs, in addition to ransom insurance and other unusual lines. I am not only the main contributor to this blog; I am The Daughter, a Licensed Agent and ISI Brokerage Manager. I am the voice of a younger generation, and the one that rebelled against being in the insurance industry for most of her life. I am grateful that I stopped resisting what is ultimately a part of me, and allowed my journey to lead me into this family business. Here I am, taking a successful practice into the modern age and molding it into the type of establishment I will take into the future with you. I respect and love what we do; we build relationships. People helping people; isn’t that what it’s really all about? I have been given an opportunity to make an impact on the world in some way and I don’t take that responsibility lightly. It is my goal to connect with you, to take subject matter that is absolutely crucial to discuss (although no one ever wants to talk about it!) and give it some “pop” and expertise as opposed to letting your eyes glaze over. Ultimately, I hope to bring a smile to your face and foster answers for areas of your life that need to be solved.